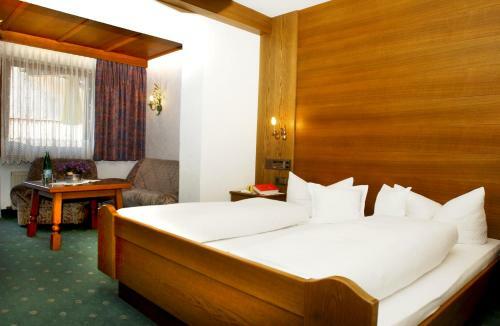 Set 500 metres from Seefeld’s centre, Hotel Garni Dietrich offers rustic rooms with free WiFi, 600 metres from the Rosshütte Ski Area. A ski storage room in the garage can be used by all guests. Each room comes with cable TV and a bathroom with a bathtub. A breakfast buffet is served daily. Restaurants, shops and the Olympiazentrum Public Pools can all be reached within 6 minutes on foot. The Strandperle Swimming Lake, where guests can also find a miniature golf course, is 800 metres away. A ski bus stops 150 metres away.